Listen up, people of Hawkins! Stranger Things Season 3 is shaping up to be the BEST one yet because everyone’s favorite character is getting more screen time. 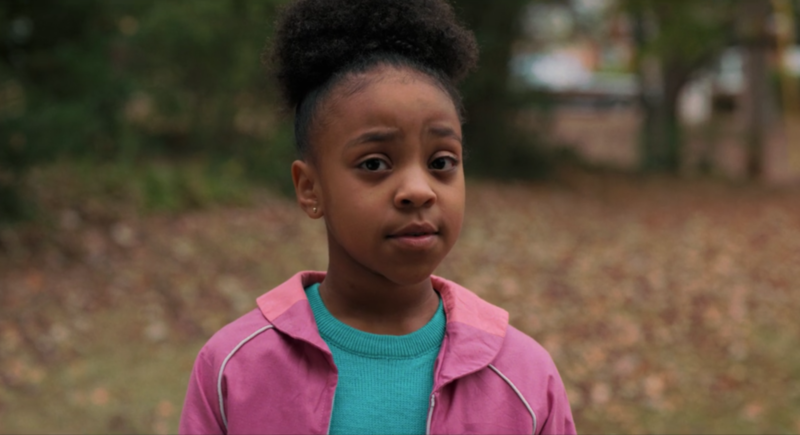 Erica Sinclair (Lucas’ sister) — portrayed by the ever-adorable Priah Ferguson — who displayed an unprecedented amount of sass in Stranger Things Season 2 is getting a rightfully deserved promotion, and will will now be a recurring character. Obviously, this is such great news, and it’s making us want to do the Hopper dance! Erica was undoubtedly a scene-stealer last season when she was introduced as Lucas’ sassy little sister. Come Season 3, she’ll return to the Upside Down and will be bringing a squad with her. Like her big bro, Erica and her crew will embark on “a wild mission to save Hawkins from a dangerous new threat,” Variety reports. Season 2 of Stranger Things ended on a relatively peaceful note. Eleven, Mike, Will, and the rest of the gang finally closed the portal between Hawkins and the Upside Down. Eleven gets adopted by Hopper, Mike and Eleven share a romantic kiss at the Winter Ball, Natalie and Jonathan finally realize they’re meant to be together, and Dustin and Steve continue to be BFFs. Executive producer Shawn Levy previously revealed that Season 3 would be “dealing with forces of evil that are new.” And it would definitely be interesting to see how the OG gang, Erica’s army, and newcomer Robin would deal with a potentially more sinister monster. Stranger Things Season 3 is expected to stream on Netflix sometime in 2019, and we can’t wait! Because from the looks of it, in addition to getting sassier, things are about to get even stranger.